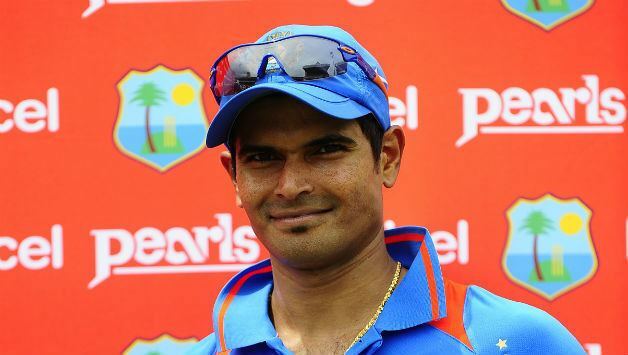 Subramaniam Badrinath (born 30 August 1980) is an Indian cricketer. He is a right-handed middle order batsman. Badrinath has represented India in One Day International matches. In first class cricket, he captains Vidarbha now and captained Tamil Nadu and in the Indian Premier League, he is a former Chennai Super Kings player. He has also represented the Indian Board President's XI on several occasions. He was also a member of the 30 man provisional squad for the 2007 Cricket World Cup. Badrinath has been a prolific scorer in first class cricket. In 2008, Badrinath signed for the Indian Premier League side Chennai Super Kings. He studied in Padma Seshadri Bala Bhavan school located in K.K.Nagar, Chennai. He was considered as one of the prime candidates in line for a spot in the middle order of the Indian test team, competing against the likes of Rohit Sharma, Manoj Tiwary, Cheteshwar Pujara and Virat Kohli. He made his Test debut on 6 February 2010, scoring 56 in the first innings at the VCA Stadium in Nagpur. He gained the selectors attention during the 2011 IPL season, playing an important role in the team's success and becoming known as "Mr Dependable" for Chennai Super Kings. Due to that, and his performance in the domestic season, he received a spot in the Indian squad for their tour of the West Indies. Following the retirement of V. V. S. Laxman, Badrinath was called back to the Indian Test cricket team to play New Zealand at home. With an average of 60.74 in first class cricket, he was noted by the selectors and given a chance to fill the void created by the departure of Laxman. Unfortunately he was unsold in IPL 2014 players auction.